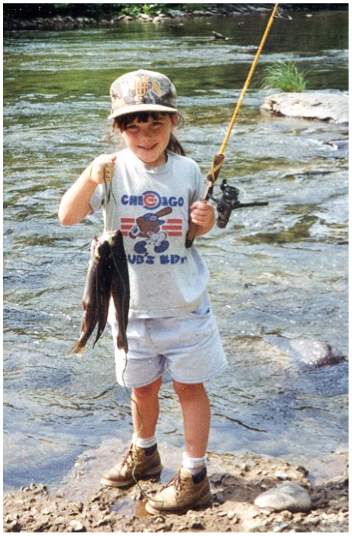 The 16th Annual Smoky Mountain Fall Trout Tournament happens this weekend on September 26 and 27, 2015. Over 20 miles of premium fishing streams and waters are stocked with thousands of trout again for this ever popular event. It’s the largest fishing tournament in the Smoky Mountains, and meanders throughout the Gatlinburg, Pigeon Forge and Great Smoky Mountains National Park area. Several hundred entrants will compete – or maybe just calmly fish – in the event. Each year, $10,000 in prizes and 10,000 stocked trout are split between the Fall and Spring events. There are prizes in numerous categories, and children are especially welcomed to this family friendly event, as well as beginners and seasoned hands! Fishing opens on Saturday morning at sunrise or 30 minutes before daylight, whichever comes first – it’s the mountains and the sun doesn’t always become visible at sunrise, depending on weather. Weigh-in is at 4pm on Saturday and 2 pm on Sunday. This happens at Patriot Park in Pigeon Forge. Licenses are required and all state and local regulations apply. Entrants must register in advance, and the one-stop shop for requirements and registration, as well as inveterate organizer of the tournament, is Rocky Top Outfitters in Pigeon Forge. Click their website here. For more information about fishing in the Smoky Mountains be sure to see our guide to Fishing in Gatlinburg – Where to Go, What to Bring. TIP: get some rest if you’re going to be up this early, and think about where to grill your catch come evening time. To help with your accommodations – and with that grilling on the deck – we have a HALF-PRICE special on all remaining cabins during this fishing weekend, that’s Friday night through Sunday night, September 25-27. Call us at 855 91 SMOKY to book a cabin or with any questions you may have – we love to give advice! PS..Don’t forget to check out – and bookmark – our Specials page for deals throughout the year!